Formula One motor-racing is a bit like soccer -- a lot more popular in other countries. Yet no viewer need be a fan of the sport, nor have any foreknowledge, to be captivated by British filmmaker Asif Kapadia's documentary about one of F1's greatest stars, Ayrton Senna. The handsome, charismatic Brazilian dominated the track in the late 1980s and early '90s, before dying in a horrific crash at a 1994 race. Senna tracks the young driver through early success; his on- and off-track troubles with his rival (and sometimes teammate) Alain Prost; his disputes with F1 officials; and his commitment to bettering his then-troubled homeland, where he was a national hero. The film is admittedly a bit hagiographic, but Kapadia still produces an exciting sports story, as well as an emotionally compelling character study of one of F1's less-likely superstars. 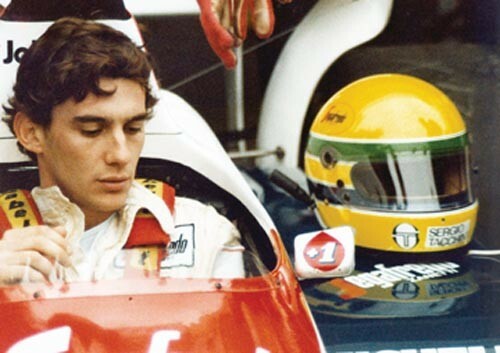 Senna could be both focused and childishly temperamental; he was deeply religious yet struggled to balance his faith with the personal costs of fame and intense competitiveness.